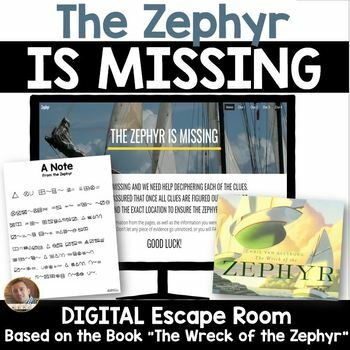 I begin this digital escape room by reading students “The Wreck of the Zephyr," by Chris Van Allsburg. Read and discuss the story and then give students the directions for this ENGAGING task! 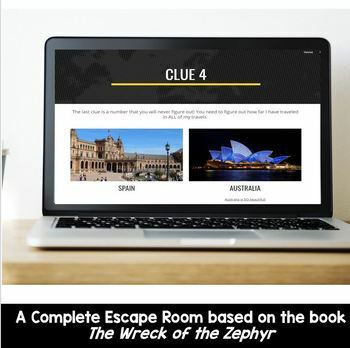 This escape room requires the materials included in this pack, as well as access to at least one computer per group. It would be helpful if each of the groups working on this have access to their own computer or an iPad. 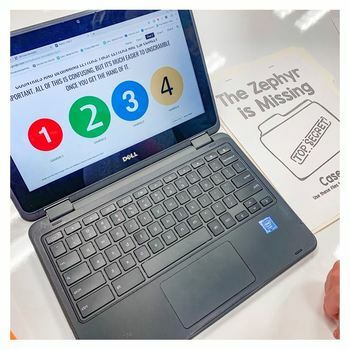 As students complete the clues, they can type their answers into the Google Form that is embedded into the web site provided. Students will not be able to pass through this Google Form until they get all of the questions correct. This is the digital lock box students must conquer before showing success. Of course, you could have students give you all answers, and if they are all correct, you could let them know they completed the mission. However, it is much more fun if the students can type in the answers into the answer checker in the online site. You can give your students as many or as few clues as you would like. You may also want to give students 2 hint cards. When they feel SUPER stuck, they can give you a hint card to become “unstuck.” There are 2 hint cards included in this pack. Print one packet for each group of students. I suggest groups of 4-5 students. I like putting all of the clues inside of a manila folder or pronged envelope. There is also a cover included for the folders to set the mood! The QR code included can be placed inside of this pack if you would like. 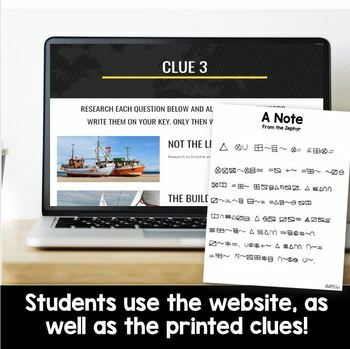 This takes students to the site they will need to find the clues and Google Form. If you want to simply give students the site, you can do this too. Just take out the QR code when printing materials. This pack is sure to engage students after reading The Wreck of the Zephyr, by Chris Van Allsburg. Again, I would highly suggest reading the book before the escape room experience. I hope your kiddos enjoy!